You've bought this product 10 times. A: They are able to roam the farm eating whatever bugs and vegetation they find. We supplement that with a non gmo layer feed with organic vitamins and minerals. 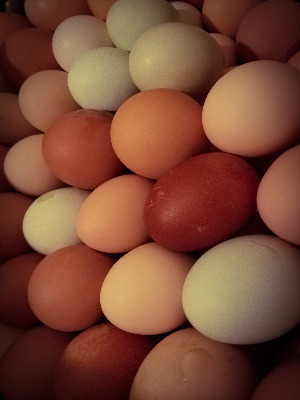 Q: I have an allergy to alot of chemicals ...are the eggs washed in anything? A: Just water if they need it.